Text from YouTube: From the 1860s to the 1960s one of the few employment opportunities for black women in America was as a domestic servant. 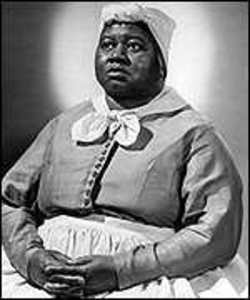 Consequently, the Mammy stereotype became the standard characterization of black women in film and television. The mammy roles, played by actress like Hattie McDaniels, Louise Beaver, & Ethel Waters, put a happy face on black women’s lowly position in society, helping to set at ease the hearts of white audiences. Mammies were so happy to serve whites that they were shown giving up their pay and even their freedom for the chance to continue serving “their white family”. These images are juxtaposed with news footage of the civil rights movement to show that this was not the case in the real world. 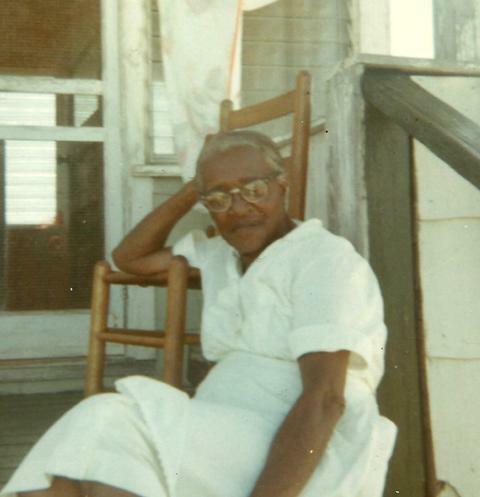 I am pleased to introduce Lucia King who has posted the following essay about the African American woman who raised her and her experience of confronting the nuclear age. She, like many others, struggles with the conflicts and confusions, as well as the presence of love, that the relationship engendered, which continue to haunt her today, and the absurdity of the possibility of nuclear war. I think many will recognize and empathize with her experiences. 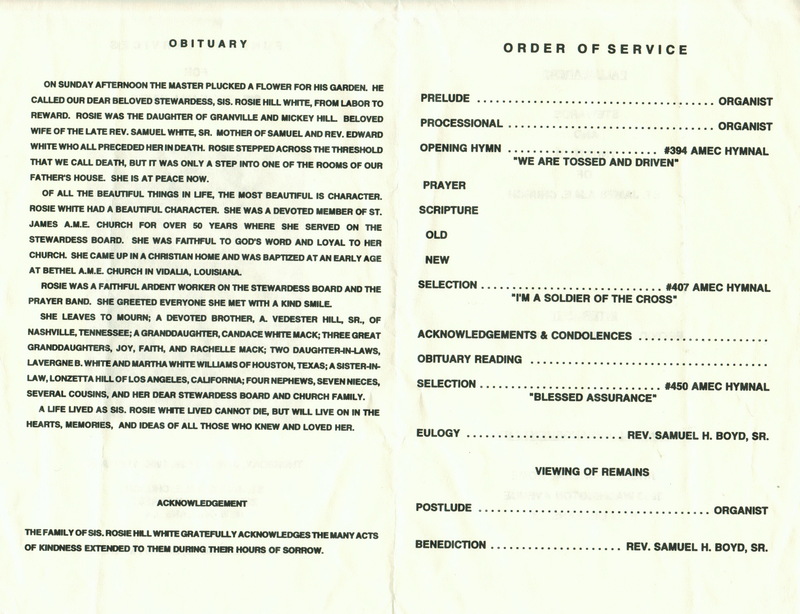 In 1981 I wrote a poem entitled “A Litany on the Origins of Our Nuclear Dilemma.” I wrote it around the time of significant negotiations between the U.S. and Russia on nuclear arms reduction I call “Litany” a therapy poem. I was engaged in family systems therapy when I wrote it, trying to give voice to the many dualities that had marked my childhood. As described in the poem, one of the dualities I was struggling with was how we treated the black woman my mother hired as our maid in 1948 a few months before I was born and who worked for my mother and father for 24 years until I and my three siblings left for college. As toddlers we couldn’t pronounce Julia, so we called her Ju-Ju. My experience with Ju-Ju, was loving and fun, and yes, she scolded us when we were naughty. However, from the perspective of the white, segregationist culture in which I was raised, my relationship with her in childhood created a painful duality I could not understand, and a duality in which, as an adult, I have harbored a lifetime of guilt. Ju-Ju fed me, changed my diapers, rocked me in the old wooden rocker, took me out on strolls, and listened to my ramblings when I came home from school–you get the picture–she was the other woman who mothered me. But I was taught that she was different from me, and therefore she, and those like her, had to be separate from me. In the poem I refer to meals with Julia–she did not eat at the table with us. I took a little poetic license in that verse– Ju-Ju did eat at the table with us, but only when she attended us on family vacations. In our home Ju-Ju had her own bathroom off the kitchen. We called it, “Ju-Ju’s bathroom,” even though we used it. After the workday, she lived in a separate neighborhood across the tracks. She didn’t have children. I always thought of myself as her child, as well as my mother’s. As I learned in Memphis in the 50’s and 60’s of my childhood, there was a litany of do’s and don’ts that were supposed to separate Ju-Ju from me and vice versa. I was taught that Julia was not like me and I was not like her, all because of the color of her skin. Of course, no one ever said we were actually separate because of the color of my skin. How does a child understand this skewed picture of life–this split? I couldn’t. I was confused by this picture. But I accepted it and from my culture learned to internalize that difference. That split in my culture became a split in my psyche. I had two mothers, one who loved me because I was hers, and another who loved me unconditionally even though I wasn’t hers. In 2012 I signed up to take a course on the craft of writing poetry at a place called Writerhouse in Charlottesville, Virginia, near where I live. The last assignment the teacher gave us in that first eight-week session was to write a poem about my mother’s kitchen. Ju-Ju figured prominently in that poem. One poem about Ju-Ju led to other poems about my life with her, and other poems led to essays, my first one describing my experience in attending her funeral. 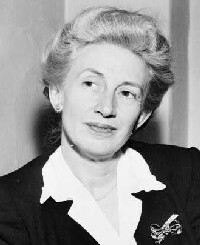 Julia died in 1983. Now, thirty years after she died, Julia’s love is still sounding within, helping me let go of the guilt about the culture of segregation in which I was raised and allowing me to give voice to my unresolved grief and love for her–and to honor her. 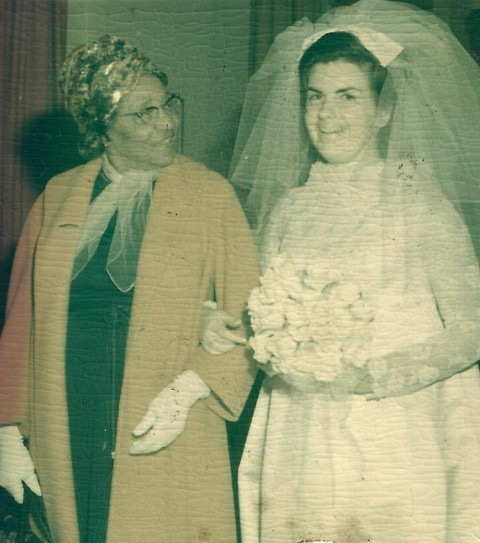 Recently, I asked my second cousin, Anne Simms Pincus, to write about the African American women who raised her and her sister, Betty in the fifties. There were three: Miriam Gibson, Louise Weeks, and Dorothy Huggins. I was impressed that my cousin knew their last names. Many whites never knew the last names of the women who raised them. Here is my cousin’s rememberance of these three women and the unspoken acceptance of segregation in their community. My sister and I were born in South Carolina into a socially prominent family with very little money. My father was away as a pilot in the Army Air Corps when we were born (my sister in 1942 and I in late 1943). My mother had moved with him to various army postings in St Louis and Memphis where he was a flight instructor. She moved to his small home town with his parents where my sister was born. As the war continued she started working as a bookkeeper and eventually built a nice small house. Since she worked long hours she employed a lovely African American Miriam Gibson to take care of us. Miriam had a younger sister Carrie Lee who would come to our house to play with us. They were both very sweet and we loved them. My mother was very generous and thoughtful and was never rude or condescending to them. Miriam got married and moved to Baltimore and my mother then hired Louise Weeks who was like a second mother. She was a marvelous cook and made the best banana cream pie and fried chicken ever. She also cleaned and did our laundry. Louise did not have a car so my mother would pick her up from her home and drive her home at night. Many white families in our town expected the “help” to walk to work — even in the rain. My father never came back from the war. He met someone else and abandoned my mother and us. My mother had to totally support us, and on her small salary was able to take care of Louise and her family as well. My mother shared our food and our outgrown clothes with Louise’s family. Louise worked for my mother for more than 20 years, and after my sister and I left for college out of state, we always visited her at her home when we returned for vacations. She was loved by all of us, and I know she loved us. My sister and I went to public school which was segregated. I graduated from high school in 1962. During my school years I was totally unaware that the Brown vs. the Board of Education law suit was — filed in our County. It was never discussed among our family, and I never heard any of my mother’s friends discuss the suit. It was as if it never happened. Eventually the white public school closed in our town and all the white children went to a new private school. After our dear Louise died, her niece Dorothy Huggins came to work for my mother several days a week–and eventually five days. Dorothy was educated an had worked as a certified nurses aide. 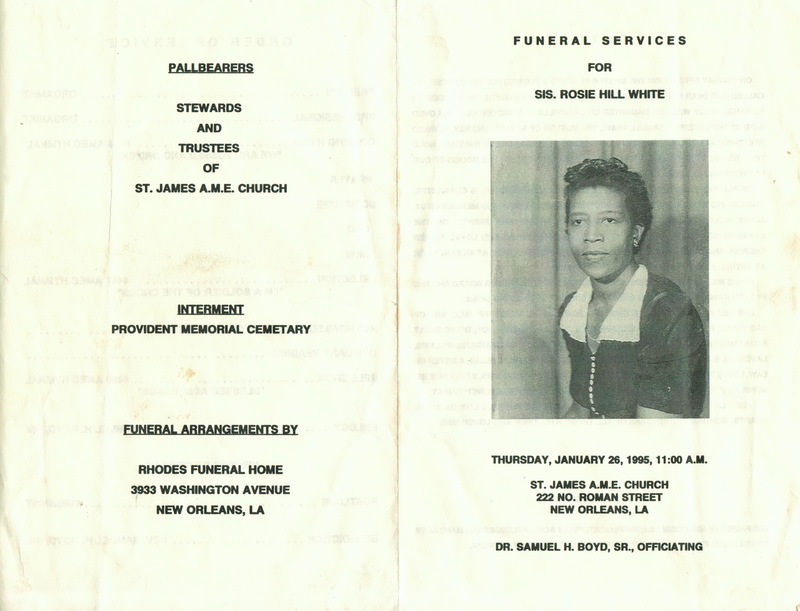 She took excellent care of our mother (for about 20 years) until our mother died…Since my sister and I lived in other states, Dorothy became our African American sister. We love her trusted her completely, she cooked, cleaned and drove our mother to various doctor appointments — handled her expenses, car maintenance, etc. After our mother died several years ago, my sister and I gave Dorothy her car and many pieces of nice furniture. We still talk to Dorothy by telephone at least several times a month, and consider her “just like family”. (as I was writing this, I got a call from Dorothy) I’ve also seen Carrie Lee on several visits “home”. We were both happy to reminisce about our playing as children. 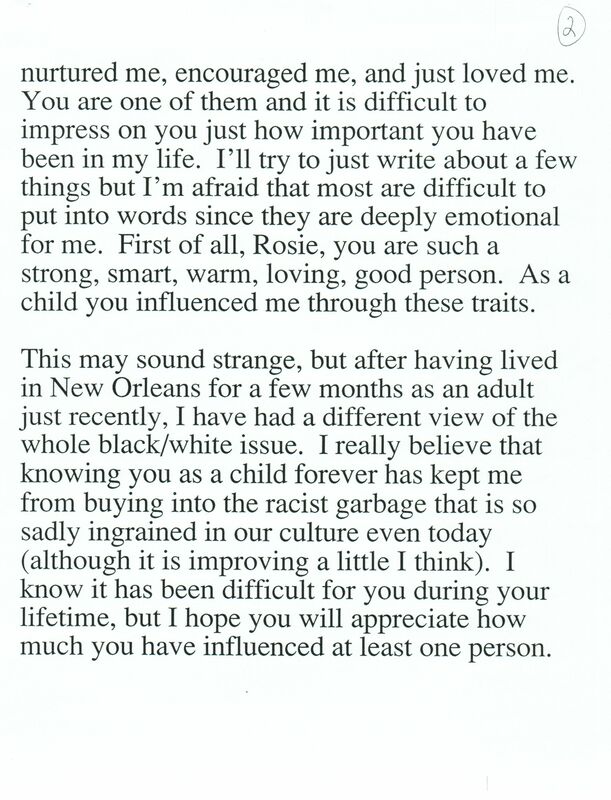 Nancy Smith in the post “Nancy and Rosie” has sent me additional information about Rosie White, the African American woman who raised her. 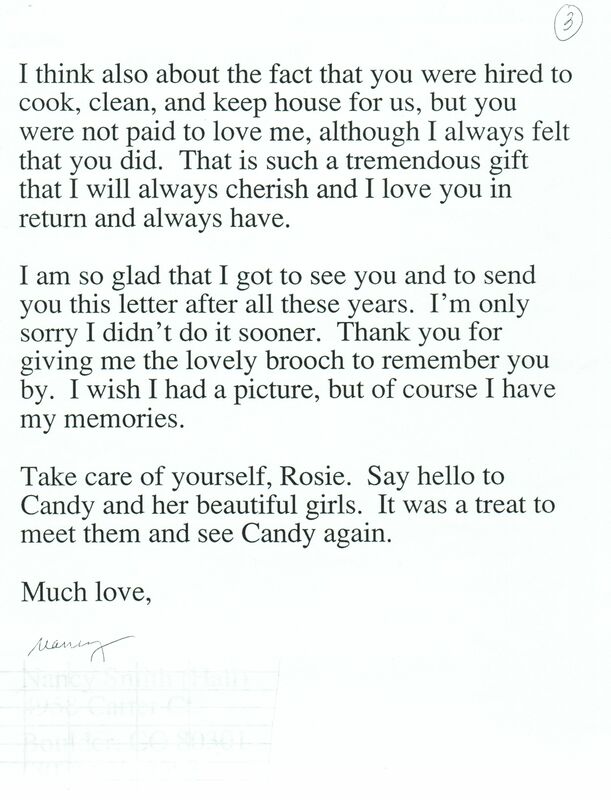 Shown below is Rosie’s funeral program and a letter from Nancy to Rosie that was read at Rosie’s funeral. 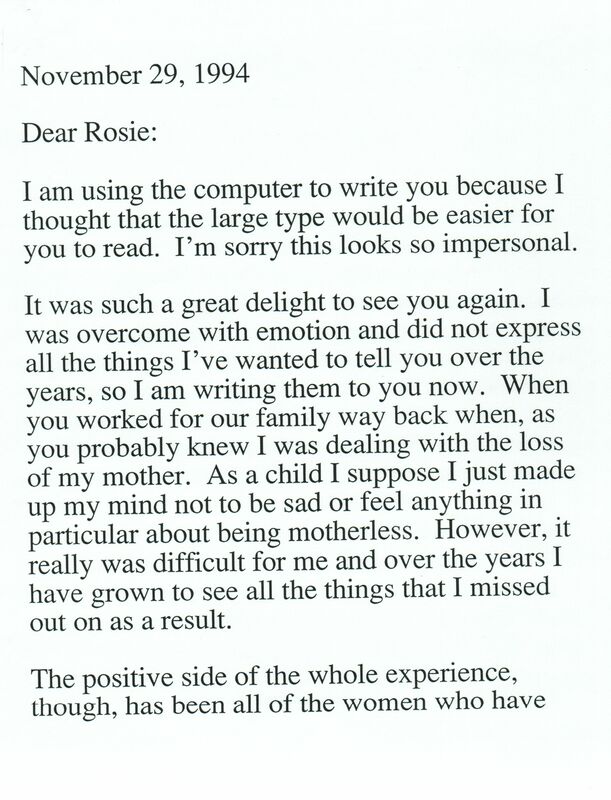 These materials give more insight on Rosie’s life and Nancy’s appreciation of her. These are the words my mother, Mary Simms Furman, spoke in this short segment shot for the Shared History documentary. The footage, which references the descendants of the enslaved people at Woodlands Plantation who took care of my mother as a child and helped her as an adult, was not used in the final film. It was deemed too inflammatory without the proper context. The Just Like Family blog will attempt to provide this context by looking at the stereotype and mythology of the “mammy” figure that was developed during slavery but magnified in the 20th century. Many of the profiles featured in Just Like Family were written by whites who describe their caretaker in stereotypical ways: a large, older black woman, full-bosomed, patient, sometimes sassy, asexual, faithful and unthreatening. I will address some of the theories and realities of this stereotypical image in the hopes of better understanding the relationship between the adult white children and their African American caretakers. You are currently browsing the Mammy Issues category at JUST LIKE FAMILY.